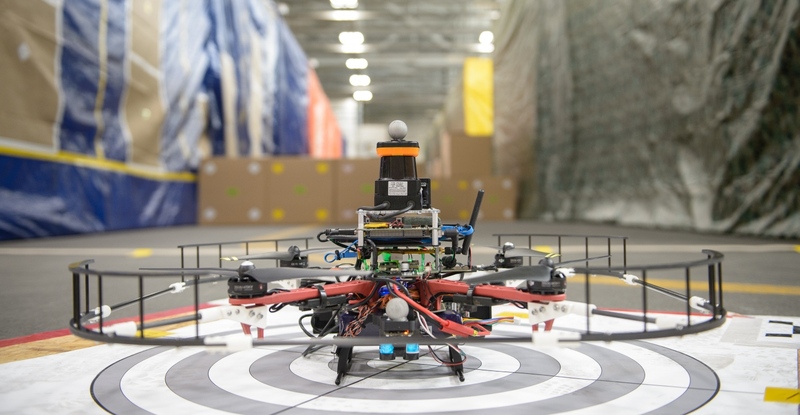 Watch DARPA’s tiny drone do 45 MPH indoors! Autonomously! 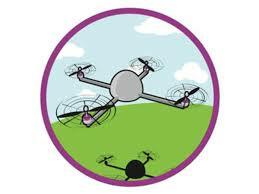 #Droneday « Adafruit Industries – Makers, hackers, artists, designers and engineers! It’s been a bit since we last saw DARPA’s bird-of-prey inspired drone system, but the government’s mad science wing hasn’t been sitting idle. The Fast Lightweight Autonomy program recently took one of its drones on an indoor test flight where there little quadrocopter that could zoomed around a cluttered warehouse in a Cape Cod Air Force base at 45 MPH — the target speed and environment the outfit was aiming for back in 2014. DARPA says that the UAV uses a commercial DJI Flamewheel fitted with a 3DR Pixhawk autopilot for the airframe, among other adornments. Perhaps most impressive is that this unit is able to hit speed even carrying sonar, inertia sensors and an HD camera on such a small frame. Oh, and the demo flight in the video below was entirely autonomous. That’s right, zero pilots were involved in getting the drone around the stacks of boxes and whatnot here.